To be addicted is to be an actor – a chameleon whose changing faces camouflage the centrality of the drug relationship and its growing consequences. 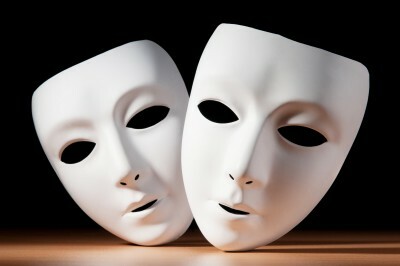 The masks hide a thousand broken promises to self and others. They provide a veneer of normalcy and can exude charms that obscure one’s growing capacity for manipulation and exploitation. They feign laughter when tears are flowing inside, and they project rage to cover our fear. To be addicted is to be an imposter – to wear so many masks for so long that any semblance of a true self exists only as a faint memory. The masks become thickly layered and more elaborately constructed over time, each seeking to convey sanity and self-control as these very qualities crumble to ashes. The masks often become prisons of one’s own creation. Escaping this state of imprisoned imposterhood requires facing the terror of nothingness – the terror that nothing, or at least nothing of value, exists behind the masks. This dread is so great it can rarely be faced alone. There is no landscape more terrifying to the addicted person than the secret-strewn wreckage of his or her own soul. Confronting that landscape without the aid of fellow travelers can provoke breakthroughs of self-perception and self-repugnance so overwhelming that few can traverse and survive this territory alone. The good news today is that no one need make this journey alone. No one need die from staring into a mirror and seeing only pain, numbness or nothingness staring back. Communities of recovery are spreading around the globe and can be quickly accessed by a phone call or computer click. The journey shared is not an easy one, but it is one that can be filled with joy and great meaning and purpose. Put simply, a future day is possible when you can be comfortable within your own skin and when your lost self will be recovered or, more likely, a new self will be forged. Recovery is a process of rebuilding the self – one piece at a time, one moment at a time. These masks of addiction do not disappear overnight. Other masks will accompany you through recovery. The early masks of recovery, like the more primitive ones that accompanied addiction, will need to be slowly peeled away like layers of an onion. The social stigma and internalized shame from addiction will force some into sustained lives of secrecy, forcing them to guard the source of their redeemed vitality as closely as they once guarded the source of their suffering. What recovery promises is the opportunity to live a more authentic life. Such authenticity comes from escaping the ghosts of the past and living and loving as simply and honestly as possible. If self and serenity are to be found in recovery, it is in the discovery that eternity exists within each moment; that all humans are wounded, imperfect beings; and that profound meaning and connection to others flow from acceptance of that mutual imperfection. “We are here because there is no refuge, finally from ourselves. Until we confront ourselves in the eyes and hearts of others, we are running. Until we suffer others to share our secrets with them, we have no safety from them. Afraid to be known, we can know neither ourselves, nor any other, we will be alone. There is something deeply human about recovering from one’s deepest wounds. Recovery is simultaneously a retrieval of lost parts of the self, discovery of previously hidden resources within and beyond the self, and a conscious reconstruction of character and identity.